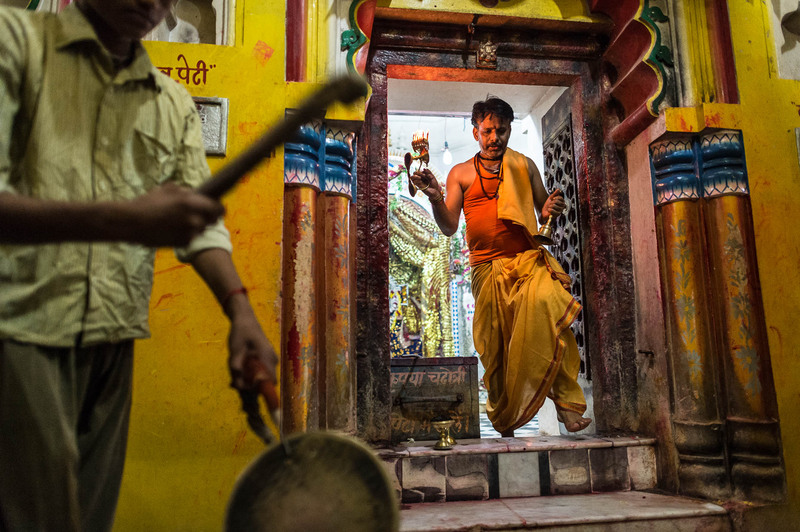 The noise from the brass gongs and wooden drums is deafening bouncing along the walls of the 17th century Hindu temple in Central India. The priest performs evening Puja (worship) of Shiva-ling (the phallus of Shiva) and outer gods located in the temple. After the Puja, the priest closes the gate so the gods can rest during the night. A similar Puja takes place in the morning when the gods wake up and the gates open again.